This article is part of our special report Mobile and Broadband. Two key partnerships were announced in the mobile payments sector pushing the issue to the forefront of industry strategy and suggesting such payments will become more prevalent over the next months. South-Korean electronics giant Samsung announced an agreement that will see it introduce Visa’s payment technology on its next generation of handsets, and speed the growth of near field communication (NFC) payments worldwide. NFC-enabled mobile payments are forecast to be available on two billion devices by 2017, and the Samsung-Visa partnership is likely to speed that process up. Meanwhile Canadian handset maker BlackBerry announced its instant-messaging service, BBM, will have person-to-person payments added to its capabilities in a pilot that the handset maker is launching in Indonesia in collaboration with PT Bank Permata and Monitise, a mobile-money-platform provider. The pilot is designed to enable users to create and access a mobile-money account from their BlackBerry devices and make real-time payments to other people who are also signed up to the service. They will also be able to use the account to buy airtime credit and transfer money to bank accounts. 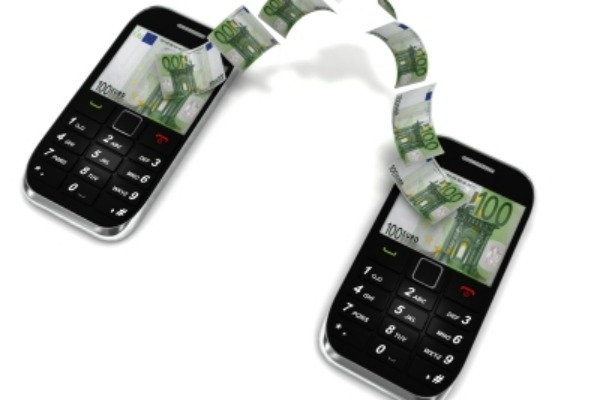 A second annual Global Mobile Money Adoption Survey – published at the Barcelona conference – revealed that mobile payments are fast gaining traction in developing countries. The majority of registered mobile payments customers, 56.9 million, are in sub-Saharan Africa, where 34 out of 47 countries have live deployments, and where 37% of the 166 mobile operator networks have launched services. In addition, there are more mobile money accounts than bank accounts in Kenya, Madagascar, Tanzania and Uganda, and more mobile money agent outlets, 520,000, than bank branches in at least 28 African countries. That outlook is at variance with Europe, where the European Commission moved last year to further integrate the 27-nation market for card, internet and mobile payments and stave off a lack of competition in the business. Internal Market Commissioner Michel Barnier and Competition Commissioner Joaquín Almunia, jointly published a consultation paper aiming to boost transparency, innovation and security in the single market. Of the €59-billion worth of total retail payments made in the eurozone during 2009, there was very little integration across member states and platforms of payment, the Commission claimed. Another key revelation from the Barcelona Congress were figures showing Chinese-based companies now chasing behind Samsung, Apple and Sony in the smartphone markets. Huawei, which sold 32 million smartphones in 2012, up 60% on 2011, came third in smartphone sales in the final quarter of 2012, according to research firm IDC, with Chinese ZTE in fifth place and Sony sandwiched in between. Samsung and Apple, however, were far in front and continue to share half the market between them. In an interview with EURACTIV, Shao Yang, Huawei’s chief brand marketer said that the company would now focus on design to take on its rivals, and was hiring some of the best talent to enable it to build brand identity. “Design is something we need to do much better and we aim to be number one in the world for design,” said Yang. Call us at +65 6818 6344 or email us at payments@arcmediaglobal.com or visit http://www.arcmediaglobal.com/payments.